What is the first name that comes to your mind when you are asked 'who is the best player never to have never won Wimbledon'? Ivan Lendl, to most. Maybe, Ken Rosewall and Ilie Nastase, for some. And Patrick Rafter, even Tim Henman, for a handful of fans. But the list probably ends there. Most of the players who were tipped to win the prestigious grasscourt event did win it sooner or later in their careers. Very few missed out. Even perennial bridesmaids like Goran Ivanisevic and Jana Novotna eventually ended up winning it. However, when the same question is asked pertaining to the French Open, there are many names which make the list. The red clay at Roland Garros might have witnessed the triumph of some of the greatest names in the game, but it also had to endure the agony of others being bridesmaids year after year. These were the players who had everything required to win the major they long cherished, save some fortune. They made repeated efforts only to return empty-handed. Or, maybe, they had the potential to win in Paris, but could never produce their best tennis when it mattered. Rediff.com takes a look at a few players who should have won at Paris, but couldn't. The list is in no way exhaustive; it is limited to the open era. The last name on the list should have been of Roger Federer. But with the exit of the likes of Rafael Nadal, Novak Djokovic and Andy Murray, the Swiss has the best chance to home the only major trophy missing from his cabinet, besides equalling Pete Sampras's record of 14 Grand Slams. If Federer doesn't manage that, he automatically qualifies for the list. Agreed, all the Spanish tennis players aspire to win at Roland Garros. But there have been only a few who have made a concerted effort towards that end. In fact, in the 118-year history of the French Open, only seven Spanish men, five in the last 15 years, and only one woman (Arantxa Sanchez Vicario), have taken home the coveted trophy. There have been a handful of others who failed to succeed despite repeated attempts, but, overall, their clay-court prowess notwithstanding, Spanish success in Paris is limited (and not prolific). Perhaps the biggest Spanish name not to have triumphed in Paris is Manuel Orantes. The Granada-born player was a dominant force on the red clay in the seventies, and 30 of his 33 career titles came on the surface. Orantes won all the other big tournaments on clay -- Hamburg (1972, 1975), Monte Carlo (1975) and Rome (1974). He even beat Jimmy Connors to win the US Open for a good measure, when the tournament was played on the clay courts of Forest Hills in 1975. But he failed to add the French Open to his collection despite making as many as 14 straight attempts, his best result being a 2-6, 6-7(1), 6-0, 6-1, 6-1 defeat at the hands of Bjorn Borg in the 1974 final. The Spaniard's defeat ensured the Swede the first of his six titles. And the latter's dominance from then on ensured Orantes could never win the title he had always cherished. Yet another Spaniard who ended with the proverbial wooden spoon. Alex Corretja was arguably been the most consistent Spaniard on the tour (save Rafael Nadal) in the last 15 years. But while his compatriots, Sergi Bruguera (1993-94), Carlos Moya (1998), Albert Costa (2002) and Juan Carlos Ferrero (2003) -- Nadal is excluded as he has succeeded elsewhere as well -- laid their hands on the trophy once each, Corretja returned empty handed despite making as many as 13 attempts in succession. The Barcelona-born player played in two finals at Roland Garros, losing to compatriot Moya (6-3, 7-5, 6-3) in 1998 and coming up second best against Brazilian Gustavo Kuerten (6-7(3), 7-5, 6-2, 6-0) in 2001. 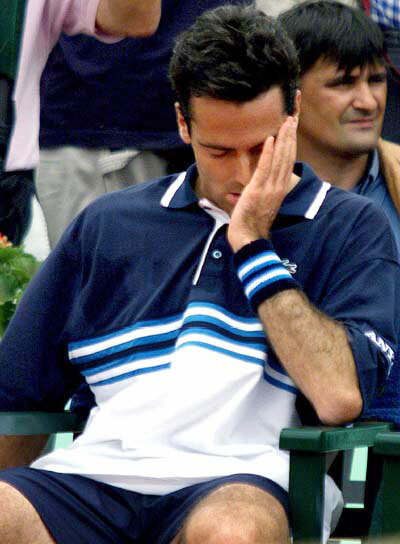 Overall, Corretja played 21 of his 30 career ATP finals on clay, winning 11 of 17 career titles. But his labourious game - he waited for his opponent to commit the error than forcing him to make it - ensured Corretja was devoid of the prize he sought throughout his career. Andrei Medvedev would have won the French Open, only if he had been a tad more consistent. For someone, whose career kick-started with a win at the boys' singles event at the 1991 French Open, beating Thomas Enqvist, Medvedev made rapid progress on his preferred surface. He won the Hamburg Masters, a Masters Series event till the ATP Tour was revamped earlier this year, on three occasions (1994-95, 1997). Besides, he also took home big trophies in Monte Cralo (1994) and Barcelona (1993). But despite winning nine of his 11 career titles, Medvedev couldn't put his game together at Roland Garros, at times losing to players he would have otherwise won against. Sergi Bruguera, who lost three of the four finals he contested on the ATP Tour to Medvedev, beat him en route to his two titles. And when he finally did get his act together, in 1999, the Ukrainian failed to land the killer blow. Having beaten the likes of Pete Sampras and Gustavo Kuerten en route to the final, Medvedev dominated Andre Agassi in the opening two sets, winning 6-1, 6-2. But when the American veteran seemed destined to lose his third final in Paris (after 1991-92), Medvedev let him get back into the game. Agassi expressed his gratitude by winning the next three sets 6-4, 6-3, 6-4 and taking home the cup. The win helped the American complete a career Grand Slam and consigned the Ukrainian to oblivion. The numbers above may not justify his standing as a clay court exponent but Marcelo Rios happened to be just that. The Chilean won half of his 18 titles on clay and every tournament that mattered save the French Open. And his back-to-back-triumphs at the Masters Series events (on hard courts) at Indian Wells and Miami in 1998 ensured him the World No 1 ranking for six weeks. But at the French open he simply floundered, year after year. 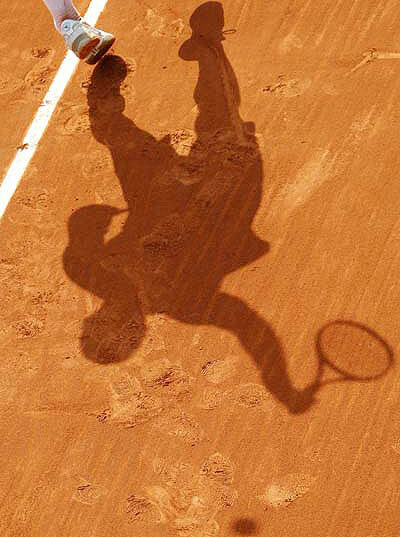 Two quarter-final appearances (1998-99) hardly do anything to justify his standing as a top player on clay. However, that is the reality. Rios remains the only male player in the Open era to have held the World No 1 ranking despite never winning a major title. 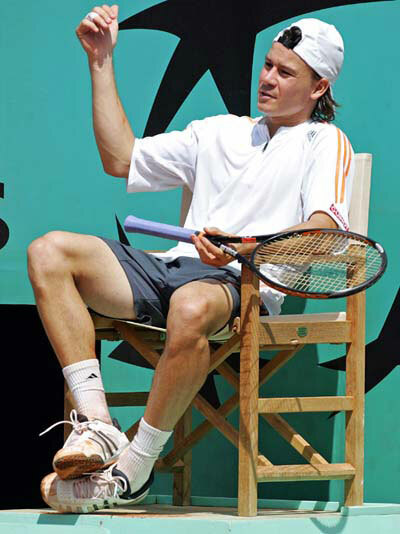 Guillermo Coria won the French Open. Only, it happens to be a junior title. The Argentine won the boys' singles title in 1999, beating compatriot David Nalbandian 6-4, 6-3. 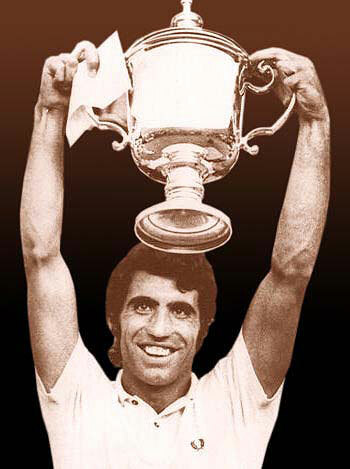 Tested positive for nandrolone in April 2001, Coria saw his initial two-year suspension reduced to seven months and made a dramatic comeback, particularly on clay -- a surface where he won eight of his nine career crowns. 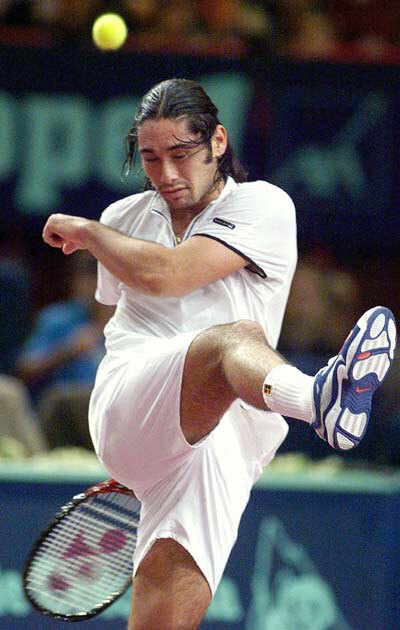 The Argentine won the Hamburg Masters in 2003 and arrrived in Paris as a favourite. He went on to beat former champion Andre Agassi in the last eight before surprisingly coming up second best against the unheralded Dutchman Martin Verkerk in the semi-finals. In 2004, Coria was the firm favourite, coming into the tournament following wins in Buenos Aires and Monte Carlo Masters and a final appearance at Hamburg. He progressed to the final without much ado and took a 6-0, 6-3 lead against his unheralded compatriot Gaston Gaudio. But Gaudio came back to win the next two 6 4, 6 1 as Coria succumbed to leg cramps. However, Coria came back strong, twice serving for the match in the fifth set at 5-4 and 6-5, having two championship points in the latter game, but eventually lost 6-8. Gabriela Sabatini, in 1985, aged only 15 years and 3 weeks, became the youngest-ever player to reach the semi-finals at the French Open, losing to veteran Chris Evert. The Argentine had won the girls' singles title a year earlier and would go on to compile an impressive 42-11 career record at Roland Garros. Surprised that someone with that credential failed to win? There is more. Sabatini won the coveted Italian Open title on four occasions (1988-89, 1991-92), the Family Cirle Magazine Cup (South Carolina) twice (1991-92) and the Bausch and Lomb Championships in Amelia Island thrice (1989, 1991-92) in seven finals -- all important events on clay. And at Roland Garros, the Argentine reached the last four stage on as many as five occasions. But she failed to translate those impressive performances into trophies. 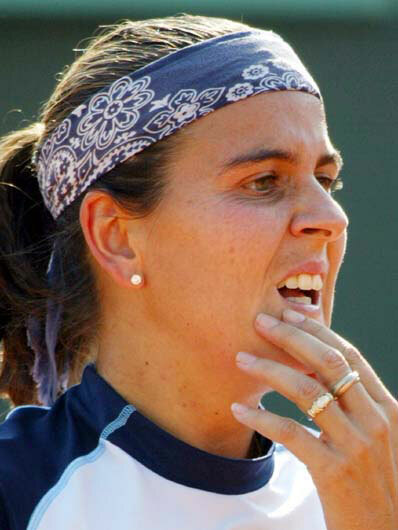 Conchita Martinez is the female version of Manuel Orantes. How else would you explain a player who won every other big title on clay, save the biggest. Martinez's career began early, and like many other Spaniards she aspired to win the French. On only her second appearance at Roland Garros, a 17-year-old Martinez would go on to reach the quarter-finals and then watch compatriot Arantxa Sanchez Vicario, beat her conqueror Steffi Graf in the final. Martinez would make it to the last eight stage in the next four years in succession and then the last four stage in the subsequent three years. In the meanwhile, she kept on winning the other big events on the surface, the Italian Open four straight times between 1993-96, the Family Circle Cup twice (1994-95), the German Open twice as well (1998, 2000). Overall, 19 of 33 career titles came on her preferred surface. And in the year 2000, came her big moment. After 13 years of effort, the Spaniard final reached the final of the French Open, beating three-time champion and compatriot Sanchez-Vicario en route. But hopes of a maiden title would turn to despair after a 6-2, 7-5 defeat at the hands of home favourite Mary Pierce. 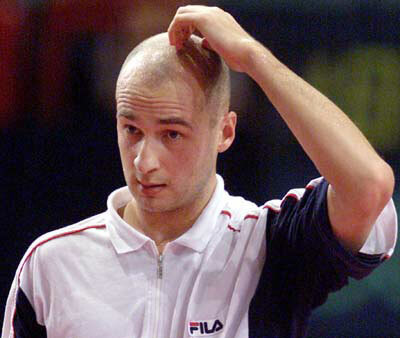 Martinez would keep trying for another five years, making the quarters again in 2003, but the title remained elusive. Ironically, for a player who throughout her career tried to win the clay court major, Martinez's lone Grand Slam would come at the grass courts of Wimbledon. Martina Hingis should have won the French Open in 1997, a year in which she won the three other majors. How she lost to Iva Majoli, who went into oblivion thereafter, is inexplicable. Hingis was just three points away from victory in the second set against veteran Steffi Graf, who would hang up her racquet two months later, but ended up losing 4-6, 7-5, 6-2. The fact that she was infuriated by the crowd and argued with the umpire over many line calls were the major contributing factors towards the defeat. The Swiss Miss reached the semi-finals the next two years but failed to complete a career Grand Slam as the French Open remained elusive. The fact that in 1993, as a 12-year-old Hingis had become the youngest player to win a Grand Slam junior title, might be the sole consolation for her. Kim Clijsters's first success at the big stage came when she reached the final of the French Open in 2001. The Belgian lost to Jennifer Capriati 12-10 in the third set in a two-hour, 21-minute match. An 18-year-old Clijsters was four times within two points of winning before the American, also a winner in the Australian Open that year, prevailed. Two years later, Clijsters would again play the final at Roland Garros, this time against compatriot Justine Henin. However, the match was far less dramatic on this occasion, with Henin winning in straight sets 6-0, 6-4. The Belgian made it to the last four again in 2006 but the title remained elusive. From the list below, tell us who was the most unfortunate of the lot.